"Do your ears hang low? Do they wobble to and for?" Yup... the ice cream truck is around the corner with some Bomb Pops! In this case the ice cream man is actually Soccer Pro and they're giving away one of the new USMNT (or USWNT) away jerseys for our followers on Twitter. "I want @FreeBeerMovemnt and @SoccerPro to hook me up with the new #USMNT away jersey. #FBMContest"
We'll pick a winner on Thursday and announce on Friday who will be sporting the new shirt in the stands (or chasing the ice cream truck!). Editor's Note: Another semi-regular feature starting up here. "The Open Bar" will focus on all the wonderful drinking options FBMers should avail themselves of. This spring Sierra Nevada Brewing Company will release their twelve-pack sampler "Beer Camp". This year, however will be a bit different. The Chico, California brewery invited some of America's best breweries to join them and collaborate on twelve individual beers that highlighted each's best qualities. The result was "Beer Camp Across America", one of the most innovative and amazing sampler packs ever. Those in the SA distribution network (which includes most of the U.S.) will have to chance to sample many breweries that were once only obtainable via trade or long roadtrip. The project is the perfect symbol of the anti-competitive, pro-collaboration world of craft beer. Sierra Nevada has partnered with a dozen exceptional craft breweries to create 12 different beers for one mixed 12-pack – including 10 bottles and two cans – another first in the craft beer world. The Beer Camp Across America 12-pack will be available throughout the U.S. this summer. More information about the process, a beer festival in seven U.S. cities, and details for each beer can be found at: http://beercamp.sierranevada.com/. Editor's Note: Martin Luther King Jr. once said, “The arc of the moral universe is long, but It bends toward justice”. Sometimes we American soccer fans get wrapped up in the day-to-day, Monday morning quarterbacking (or centerbacking), knee-jerk reactions and miss out on the big picture. This weekly column will focus on picking out the larger themes and issues of Major League Soccer and the American game. I was an Atlanta resident once, for four years during college. In no way did this experience provide me with the insight to speculate on the prospects or necessity of an MLS franchise in Atlanta. I was also a baseball-crazed adolescent boy growing up three hours southwest of the Georgia capitol, and that, in its own limited way, does. I watched nearly every non-West Coast game, thanks to the team's increasingly bizarre national broadcast deal with TBS. Every relative knew some random, $15 Braves trinket was a solid birthday or Christmas option. I grew up wanting to be Greg Maddux. I still want to be Greg Maddux. What I didn't do was actually attend Braves games. My family and I went once a year if I was lucky, usually around my birthday. Much has been made of MLS pushing to expand its footprint in the Southeast, some of which wrongly assumes that Orlando and Miami count. Growing up, the closest MLS team to my tiny Alabama hometown was the Mutiny around six hours away, but at no point did this ever occur to me. The Mutiny may as well have been playing in the Bay of Fundy for all I cared; my sense of geography just didn't extend to Florida. By the time I thought to look for the closest MLS team, it was in Columbus, which...no. It's understandable that everyone feels they have to dip the city and its nascent franchise into their own personal litmus test to determine its potential. Will a cavernous NFL stadium suffocate the atmosphere? Will a vibrant supporter culture spring up out of the sprawl? Will anyone want to play on its turf? Will they just shut the team down when college football season starts? I have no idea how successful an Atlanta team will be out of the gate in 2017. What I do know is the league needs a team in Atlanta. That footprint that's been such a focus in the run-up to Wednesday's announcement matters. The MLS model of hopping from safe zone to safe zone has been an unqualified success during the last decade of post-contraction rebirth, which is why it's freaking everyone out a little that the league is starting to disregard some of those rules in the cases of Atlanta, Miami and NYCFC. At some point the league is going to have to blaze its own path. If Atlanta isn't ready for an MLS franchise, then there's no better place start that process, not just for the metro area itself, but for the thousands of little me's scattered throughout the region starting to think they might be interested in this soccer thing. They don't matter much on paper in terms of the metrics most of us look at when we judge soccer markets: They won't buy season tickets or write new and clever chants for 2017. But in the more stable position MLS finds itself in, it can afford to take a flyer on developing some of these youth prospects, and the long-term growth potential the Atlanta market represents. Cue Max Bretos (circa 2002).... "YEEEEEEEEEEEEEAAAAAAAAAAHHHHHHH!" Back then they were the "Clash", those jerseys (! ), and there was the 35-yard running shootout. Sometimes babies are ugly. But it's our baby and we love it. Major League Soccer's first goal was scored 18 years ago today by none other than one of the infant league's marquee players, Eric Wynalda. The San Jose Clash hosted D.C. United (who would go on to win the first three MLS Cups) at Spartan Stadium. Wynalda's finish was voted the league's inaugural "Goal of the Year". Watch highlights from ESPN's broadcast of MLS' first match. Wynalda's goal near the end. Grant Wahl (Sports Illustrated) - "A Tale Of Two Halves: Three Thoughts on the USA’s 2-2 draw with Mexico"
Mathew Dole (MLSSoccer.com) - "Three Things: Michael Bradley's role opens up World Cup options for USMNT"
Noah Davis (American Soccer Now) - "The Shape's the Thing: Klinsmann Adopts a 4-4-2"
Mike Prindiville (NBC Sports) - "U.S. Men’s National Team defense remains unsettled after Mexico draw"
Will Parchman (The Shin Guardian) - "USA 2 – Mexico 2: Odes & String Music To Beckerman"
The pomp and circumstance has passed. We “Dos a Cero”-d Mexico otra vez. Tied them at Azteca (and won a year earlier there), and bailed their asses out all the way from Panama. We can close the book on that Gold Cup embarrassment from 2011, shelve it and let it gather dust. Right now there need not be any U.S. is this-or-that vis a vis Mexico. Another addition of this age old rivalry is upon us, but for all inclined (unless you’re a Mexico fan DESPERATE to save some sort of face from World Cup qualifying) this match is nothing but filler before the main event in Brazil. Tonight’s match from Arizona is really an under-card fight pitting Major League Soccer versus Liga MX. It didn’t end so well for MLS in the CONCACAF Champions League, but we’re willing to bet this round will end better. Will we or won’t we see Julian Green on the field tonight? Will Clint Dempsey find his USMNT form again? Can we please, please improve on the dreadful back line performance from Ukraine aka Cyprus? Will Michael Bradley grab this game by the balls? These are the important questions not needless measuring sticks with Mexico. Another important question is what to drink with your U.S. game tonight? With any “rivalry” match (even if this one is relatively meaningless) is an occasion to break out the “colors”. If the new U.S. Soccer away jersey wasn’t chalk full of enough patriotism (I love it) then your beer should cover that for you. We recommend Oskar Blues Brewery Company’s “Dale’s” Pale Ale (Longmont, CO). One of America’s best craft breweries “Dale’s” and Oskar Blues was also one of the first craft breweries to begin putting their suds in cans. Ingenuity… it’s the American way. And while we’re talking about the can (we’ll get to the insides in a minute) you can’t go wrong with the color scheme for “Dale’s”. Red, white, and blue…. unmistakably patriotic to hold in your hand and hoist in the air when we score on El Tri. Inside the can you’ll find a healthy dose of citrusy hops alongside pale malts. The New York Times even bestowed “Dale’s” with the title of “best pale ale” in 2005. Even almost a decade later this gem for Oskar Blues holds up as the craft beer scene has exploded. Better yet Oskar Blues just recently opened a second brewery location in North Carolina meaning you can know enjoy some of Colorado’s finest in nearly every corner of the country. If you find yourself in Phoenix for the match and our looking for something local to taste check out Four Peaks Brewing Company in nearby Temple, AZ. Consistently voted the Phoenix area’s best brewery/ brew pub. And they sell their wares in cans, too, around the area. With Major League Soccer and the rest of American soccer kicking off we've curated an impressive list of players, personalities, broadcasters, front office folk, and fans to have them tell us (and you) about their upcoming 2014 season. And, of course, pair their hopes and dreams for this season with a tasty local brew. That's not just a preview... it's a "beer-view". Here is our entire series of beer-views all in one place for your view (and perhaps tasting) pleasure. Real Salt Lake and Wasatch Brewing Company "Snap Down Header"
No. Not Christmas. That amazing time every four years when national teams release their new jerseys before the World Cup. This spring is no different as the United States men's national team debuted both their home and away shirts for Brazil. We've partnered with Soccer Pro to giveaway one of the new USMNT (or USWNT) home jerseys for our followers on Twitter. "I want @FreeBeerMovemnt and @SoccerPro to hook me up with the new #USMNT jersey. #FBMContest"
We'll pick a winner on Thursday and announce on Friday who will be sporting the new shirt in the stands (or on the golf course!). Times are definitely a changin’ over in the “MASSIVE” city of Columbus. Crew fans are abuzz over this “New Era” of soccer. NEW owner, NEW coaching staff, NEW home jersey, NEW songs, NEW chants, NEW team…The Black and Gold are ready to rock!! With some new experienced additions looking to make an immediate impact to get the Crew back to their winning ways, things are looking bright gold. Newcomers Clarke, Parkhurst, Gonzalez and Francis all have experience, three of which are currently in national team pools, and should bring leadership qualities to the backline. The midfield will be as solid as ever with Higuain leading the way and Will Trapp holding down the fort. A couple more additions in Paladini and two-time MLS Champion Hector Jimenez will provide more added experience, speed and ball possession to this “New Crew” soccer which likes to keep the ball buzzin’!! Up front, the Crew have a number of options. And whether they go with the speed of Oduro, the grit and fight of Arrieta or the newly signed 6’6” Adam Bedall, all bring a different look for the Crew. If preseason was any indication of what the Black and Gold can do, it should be a “MASSIVE” ride for the Crew this year. Can Coach Berhalter and his All-Star coaching staff lead the Black and Gold back into the playoffs and let the Nordecke rock?...I…I believe…I believe that we will win…I believe that we will win!! Pablo Mastroeni (finally!) Pablo retired as a player last season at LA Galaxy after a long and illustrious career in MLS including a period in the US National team. The reasons for his last half season in the LA Galaxy reserves were explained when rumors surfaced that he and former coach Oscar Pareja did not really get on. As soon as Oscar departed, Pablo was back almost immediately, first as a 'special assistant', then 'interim head coach for preseason' before the club gave him the main job last weekend. The Rapids say they interviewed multiple candidates for the head coach job, however some cynical fans say all they did was write a contract for Pablo in that time. We suspect the truth is a bit of both. Is he the right man for the job? That depends on whether you value experience over loyalty. Pablo has always been seen as a natural leader in the locker room and the man himself has made no secret if his desire to move into coaching after his playing days were over. He is also a club legend & the perfect example of someone who bleeds burgundy through & through. After Oscar left, the club indicated they were looking to appoint a head coach who was likely to stay in the job 10 years which makes Pablo an obvious choice. However the simple fact remains - this is Pablo Mastroeni's first coaching gig. Many Rapids fans will be pinning their hopes on there clubs' first ever designated player, Honduran international Gabby Torres, to lead with the goals this season, able assisted by Deshorn Brown who was one of the standout draft picks of last season. Veteran Vicente Sanchez is able to distribute the ball with pinpoint accuracy and could be instrumental in setting up the Rapids' attacks this year. Editor's Note: Oh... and they have MLS' reigning Rookie of the Year Dillon Powers. All the top sides in the MLS Western Conference appear to have had a relatively stable off season and we think the likes of Portland, Seattle, Real Salt Lake and LA Galaxy will be up there again this year. The thing about the Rapids is, despite the improved roster quality, we don't appear to be able to put it together consistently, particularly away from home. I predict we'll grab a play-off spot but have to contest the play-in game again. If you go by what the fans drink on the supporters terrace at DSG Park then the answer to this is most definitely Strongbow cider! In possibly the smartest business decision ever, the now club sells it by the truckload on gamedays for pretty reasonable prices considering the stadium environment. However an imported English cider wouldn't really pay homage to Colorado'a rich tradition of craft brewing which gives me literally hundreds of beers to choose from and a very tough decision. After careful deliberation & also drawing from extensive road tests with our supporters I am going to stick my head out, risk a hundred different opinions and recommend Great Divide Brewing Company's "Colette" as a perfect a compliment to a Rapids game. Colette is a Belgium style ale that is produced just a few blocks down the street from the British Bulldog in Denver. Formally only available during the summer months put now produced all year round, it is intended to be refreshing as well as have a distinct fruity taste making it perfect for those hot & sunny gamedays we are lucky to have in Colorado. It is not too heavy in the stomach which makes it perfect to consume just before jumping around in the supporters sections at the game. It also also as an ABV of 7.3% which you the added option of having a few extra, should the team play so badly that you wish to forget about it afterwards! MLSSoccer.com's Jason Saghini does his best SportsCenter impression and takes us through some of the sweetest touches, through balls, and juke moves from the second weekend of Major League Soccer. Yes. Yallop has brought a fresh air to a Fire team that saw 2013 end in bitter disappointment after a great fight back from the start of the season. He’s clearly accomplished in MLS with three domestic titles and two Coach of the Year awards to his name but beyond that, he’s shown to be a coach that always gets the most out of his players. Yallop has put together a strong support staff in the form of assistants C.J. Brown and Clint Mathis and Technical Director Brian Bliss. Training sessions run more efficiently and players seem to be grasping the directing being given much more easily than in the past. Simply put, Yallop and crew do well to relate to the MLS player because they all were at some point in their career. They keep things loose for the guys but are able to command respect and be serious when it’s called for. With Mike Magee being the obvious one, I’d point to new Fire youngsters Benji Joya and Harry Shipp. After a very successful senior season at Notre Dame where he helped the Irish to their first College Cup and finished as runner-up for the MAC-Hermann award, it was a huge win for the Fire to claim Shipp as a Homegrown player. Most agree Shipp would have been a top three pick in the SuperDraft and he backed up the hype with two goals and an assist in preseason. Shipp has fantastic attacking vision and a soccer brain that you don’t see from a lot of players that have played four years collegiately. The pair above were the only two to get significant minutes with the first team group in preseason and it wouldn’t surprised me to see one or both of them continue that during the year. I truly think that the Eastern Conference is a crap shoot in 2014. There are certain teams you would say for sure will be in the playoffs but I have no reasonable prediction for them. Yallop has had to deal with an incredibly tight salary budget inherited from mis-steps made by the last group so expecting many reinforcements isn’t likely. That said, I think the Fire will be a playoff team but will probably have to battle through the Knockout Round again in the East. The hope every year in Chicago is to catch that elusive fifth U.S. Open Cup title and Yallop has earned high praise for saying he plans to take the competition seriously. Myself and many others would probably take Open Cup glory over a fourth place finish in the East. 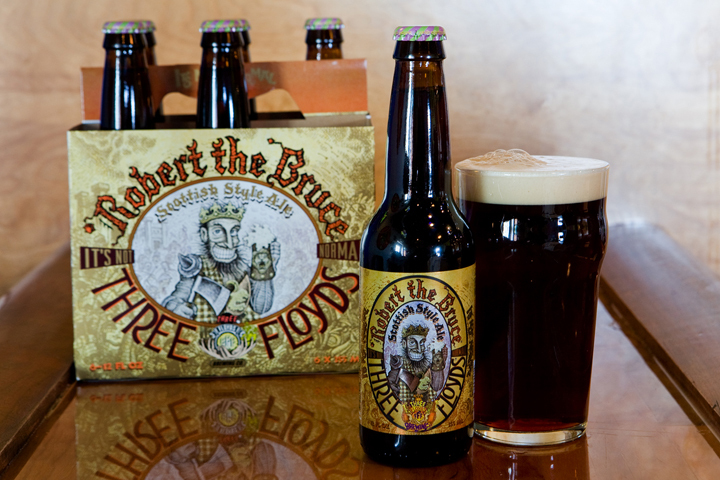 I’m not sure it fits with our team but my favorite “Chicagoland” beer would be 3 Floyds Brewing Co. “Robert the Bruce” Scottish Ale (Munster, IN). Dark, malty goodness is right up my alley. If I have to find a way to relate it to the Fire, I would say I hope this team battles as well against MLS as this guy did against England. Editor's Note: I don't often post personal items on the Free Beer Movement site. The FBM, is, after all, a grassroots organization, so by definition is about the people and their actions that define us. That being said there are times I like to drop in to share a few things about myself, my ideas, and my hopes and dreams for soccer in America. Today is one of those days. Lucky you. Major League Soccer is running a contest called #ItAllStartsHere where American fans share their stories of their soccer beginnings. I'm not interested in the prizes, but it certainly inspired me to think about where the Free Beer Movement all started. I wasn't born with a ball at my feet. I was awkwardly introduced to soccer during my middle school years after it became very obvious that there was no hope for me in pretty much every other sport. I was a serviceable defender, then a serviceable midfielder, then a serviceable forward. Then I wasn't. In high school the starting goalkeeper found himself on the receiving end of too many knocks and so, I, in a desperate attempt at getting some playing time clocked in between the pipes. I never returned to wearing the same shirt as my teammates again. But you didn't stop by to hear about my mediocre playing career. You're here for the beer. When I travel to soccer games around the country a lot of people ask me, "Where did the Free Beer Movement start?" That question is usually before or after another common question, "Can I get you a beer?". They're both delightful questions because I love telling the FBM story and, well, I love beer. What up Naperville? Home of the Chicago Fire from 2002-03. I remember the first season of Major League Soccer back in 1996. I ended up with a full-page ad from USA Today with all these American and international stars on it, one per club, plastered across it. That "poster" hung on a closet door for years (I wish I still had it.. the flowing locks of Lalas and Valderrama... Wynalda, Harkes, the whole denim bridage from '94). But I was a terrible American soccer fan. My parents bought my a USMNT replica t-shirt jersey (they had a knack for that... I also owned a Florida Marlins t-shirt jersey... cheapskates) that I wore with pride until, when watching the 1998 World Cup in a bar in Hungary (at 15... the beer flowed early), the Steve Sampson squad embarrassed themselves, and more importantly, me in front of all these Europeans. The stage was set for me to go full-on EuroSnob. My first soccer jerseys were a 1998 Netherlands jersey (I'm Dutch by heritage), a Chelsea jersey, and a Michael Owen Liverpool shirt. I was lost. Clearly directionless when I came to my fandom... desperate to latch onto any shiny object of Euro-success that I caught wind of. Then the 1999 Women's World Cup happened. USA! USA! USA! My faith in American soccer restored. The women's national team saved my fledging American soccer fandom. I've documented my love of the USWNT before, but it doesn't do justice to the fact that if it weren't for Hamm, Akers, Foudy, Scurry, and Chastain... there would be no Free Beer Movement. So I was (kinda-sorta) an American soccer fan again. The Chicago Fire joined MLS. I attended a bunch of games. Born and raised in Wisconsin this was my closest club, but.... a Chicago team? This was a bridge too far. My MLS fandom waned. Enter the 2002 World Cup. Early mornings! Take that Portugal! Take that Mexico! Germany.... screw you! Dan... you still haven't mentioned beer yet. You're droning. Honduras, 2008. Early victims of the not-yet created FBM. Then I moved to Honduras in 2008. There's nothing like living in a futbol-mad country to reassess your personal fandom. Back then, before leaving the United States, I thought I was a pretty good fan, but clearly I was wrong. I followed the Honduran national team and the local Liga Hondureno with zest (as much as my poor Spanish would allow). Los Catrachos were on the cusp of qualifying for the 2010 World Cup and when they did (Gracias, Jonathon Bornstein) the nation went bonkers. I returned to the U.S. a year later having irreversibly changed my perception as to what kind of soccer fan I thought I was. Because I wasn't one really. What had I really done to help turn the United States into a country like Honduras where the sport flowed in the streets and in the veins of nearly every person? Nothing. There were builders of American soccer. Those who took up banners and flags when Major League Soccer started in 1996. I had a newspaper clipping on my door. Those who gravitated to the sport in the league's darker days around the turn of the millennium. I was nowhere to be found. But now it was 2009 and up until that point I had done precious little for soccer in America. Before I moved to Honduras I lived in Milwaukee, "the Good Land", where my craft beer education began. Living down the street from Lakefront Brewery changed my perception of what beer was and having moved to Honduras, a craft beer desert, during these formative years, put a damper on my growth. Having returned to the land of the free and the home of the brave and settling in Austin, Texas I had dual goals: be a better soccer fan and consume as many of the diverse options that the craft brewing world would possible allow me. The Free Beer Movement was born. At first a personal journey of my own soccer and beer exploration. Then a resource for others who might also be following my same enlightened path. Mrs. FBM's first USMNT match. January 2010. She got me into craft beer. I got her into soccer. Since the founding of the FBM I've attended dozens of matches from the NPSL to MLS to NWSL to USMNT/USWNT, I hold season tickets to my local Austin Aztex, and have probably tried countless thousands of unique beers from around the country and the world. More importantly, though, is that it wasn't just about me anymore either. It was the invitation extended to friends, family, or even a stranger in the barstool next door to have a free beer and join me on my soccer journey. I didn't just need to be a better soccer fan myself, but I needed to be a better ambassador for soccer as well. Most importantly, though, is the discovery of hundred if not thousands of like-minded fans who believe in the power of the pint to build American soccer. That something as simple as a free beer offer (and a bit of educator alongside it) can transform a sport. It's a Movement that has re-defined what it means to be more than a fan and to help "build American soccer one beer at a time". The success stories come in bunches to FBM HQ from East Coast to West Coast and what started as a silly idea now has a serious goal. Now the Free Beer Movement isn't so much about me anymore. And that's a good thing. I mean, someone still has to bang at the keyboard, but it has taken on a life of its own with empowered American soccer evangelicals (polite and not too pushy I hope) taking charge of their own destiny, growing the game, and enjoying a few beers with a few new fans along the way. That's the essence of the Free Beer Movement. One game. One newbie. One offer. A chance to build American soccer. #ItAllStartsHere.... with a beer. Probably not. Promoted to head coach in mid-2012, Hackworth was originally brought in to build the Union’s Academy. The Former US U-17 coach has shopwn a clear ability to identify and develop young players, but seemed out of his depth running a senior squad. Hack shows blind loyalty to “hard-working” and more easily coached players to the exclusion of more creative types, often a sign of insecurity in a less-experienced coach. While his teams are well-prepared, they seem incapable of adapting to changes in their opponents game plan. Union fans have taken up a collection to buy him a copy of Inverting the Pyramid. Brian Carroll. The Union’s Captain-by-default looked terrible in 2013, a seemingly obsolete model of a holding mid, a winged Polish lancer charging the Panzers of Ozzie Alonzo, Dax McCarty & Juninho. How much of that was Carroll feeling his 32 years, and how much the strain of cleaning up after a midfield that had a worse collective first touch than Stephen Rea in The Crying Game. Union fans should have an answer this year, as the team brought in former US International Maurice Edu to run in tandem with Carroll, and former Souchoux captain Vincent Nogueira to play the top of their triangle. The Union have improved, but so has the rest of the East, and a real lack of depth on the backline (read: no starting LCB, no true LB) leaves them in the clear second tier. A big pickup in June, or a breakout season at centerback by Ethan White gets them into the playoffs, but barring that, its another year of unhappy nights and unpaved parking on the banks of the Delaware. 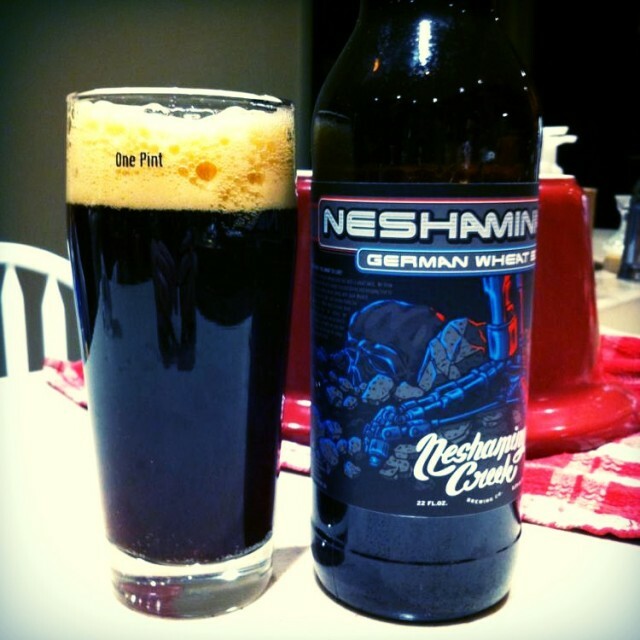 The "Neshaminator" by Neshaminy Creek Brewing is the Union in beer form. The Weizenbock made from the very waters that feed into the Delaware 30 miles north of PPL Park has real bite up top and a solid body, but the back end feels unfinished and has a bitter aftertaste. Just like the club, it probably needs to age a bit. With Major League Soccer and the rest of American soccer kicking off in just over a week we've curated an impressive list of players, personalities, broadcasters, front office folk, and fans to have them tell us (and you) about their upcoming 2014 season. They blew up the roster for him, so yes! There are more exciting players (Obafemi Martins, Clint Dempsey, DeAndre Yedlin, Marco Pappa) but it may just be that Kenny Cooper’s performance determines if Seattle is just a playoff team or a contender. If he’s slotting goals like he did paired with world class talents before the Sounders FC offense is going to nearly impossible to stop. Or you can just watch the shiny things. There are lots of them and they’re fun. The Rave Green will earn at least a trophy in 2014. It’s been too long without one out here and there’s a strong balance to a squad with pure top end talent. 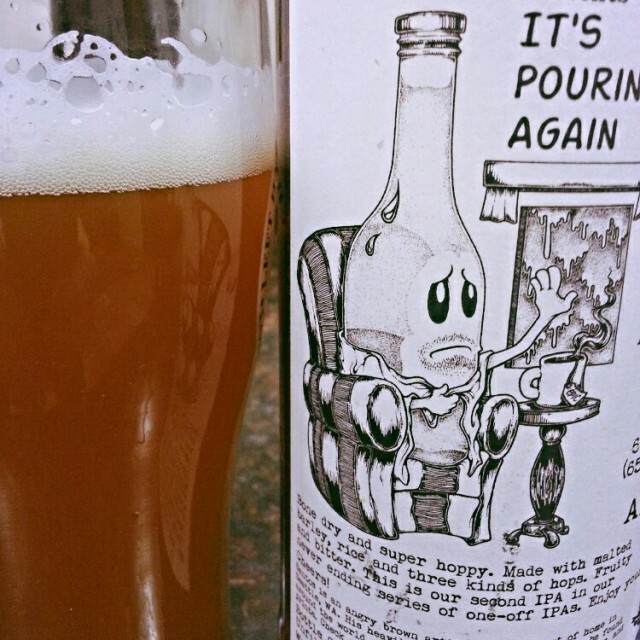 Epic Ales "It’s Pouring Again" India Pale Ale (Seattle, WA) – for two reasons. A celebration of Seattle sunshine is a great way to get the MLS season started up here. Also, it’s an IPA, which is kind of a Northwest beer stable. Epic though does not have a core IPA. This one is only around for a couple more weeks, so you should grab the “bone dry and super hoppy” one off now.